This is a page from the 1944 Manzanar High School yearbook. Look carefully at these faces and names. 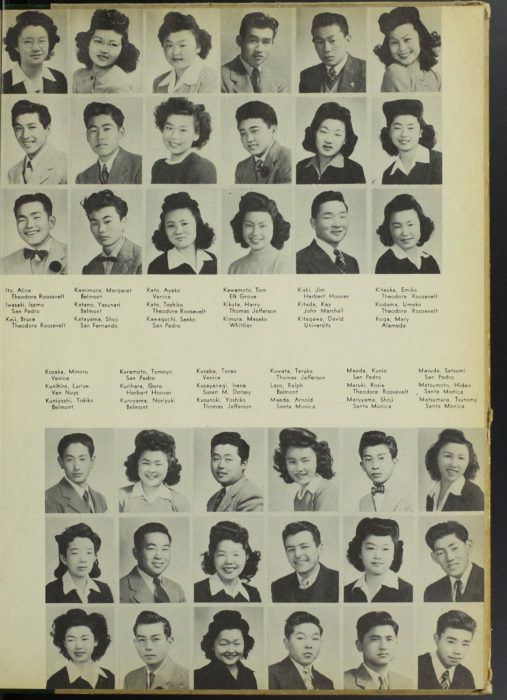 As one might expect, almost all of the students pictured in the yearbook are Japanese American. There is one student, however, who is not. Find the photograph of Ralph Lazo. Lazo is of Mexican and Irish descent. Why do you think he is pictured in this yearbook from Manzanar Concentration Camp? What events might have led to him living in Manzanar? Read the text of this document carefully. This is a Civilian Exclusion Order. In 1942, these posters were placed in public areas all along the West Coast of the United States. To whom are these instructions directed? 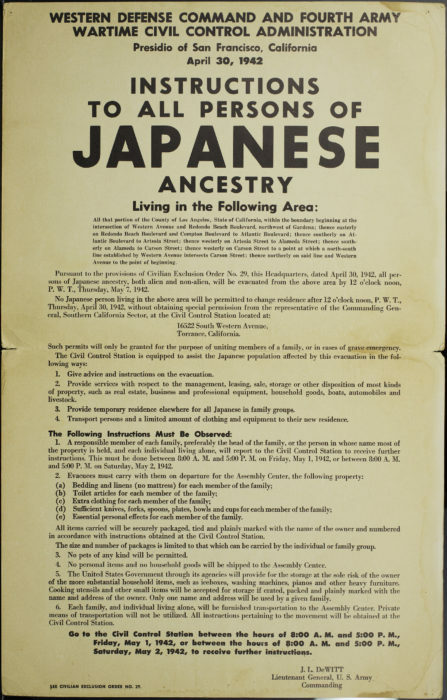 If you were a person of Japanese ancestry, how would you feel as you read these posters? If your best friend was a person of Japanese ancestry, how would you feel as you read these posters? Although Ralph Lazo was not Japanese American, many of his friends at Belmont High School in Los Angeles were. When the Civilian Exclusion Order called for all persons of Japanese ancestry living on the West Coast to be incarcerated in concentration camps, Ralph witnessed many of his good friends forcibly removed from their homes and sent to camp. He considered his Japanese American friends to be his equals. Realizing the incarceration was unjust and wishing to support his friends, Ralph decided he would go to camp as well. He ended up living at Manzanar and going to high school there. Take a look at this photograph from the Manzanar High School yearbook. Can you find Ralph Lazo? Does he stand out from the others in a drastic way? How would you describe his mood? This snapshot was taken during a press conference for the National Council for Japanese American Redress, many years after the teenaged Ralph Lazo joined his friends at Manzanar. The council was formed in 1979 to obtain restitution for Japanese Americans incarcerated during World War II. In this photograph, Lazo is shown on the left. By looking at this photograph taken decades after World War II, what do you learn about Ralph Lazo as an adult? 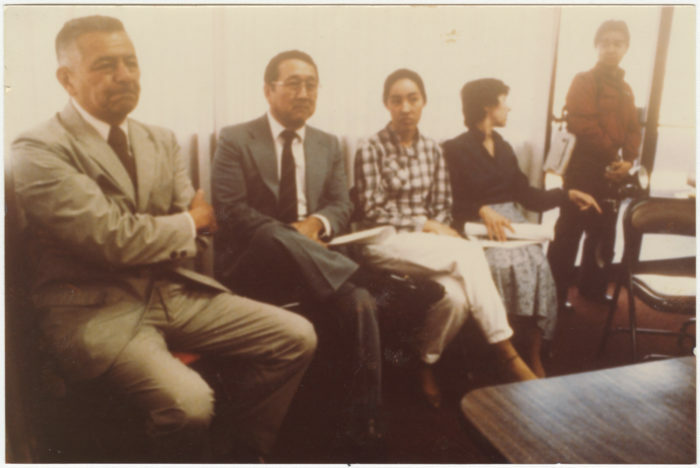 Lazo’s presence in this photograph shows how even decades after World War II he continued to support his Japanese American friends and the Japanese American community. As a teenager, Ralph Lazo was angered by the incarceration of his friends and decided to do something about it. Though a handful of inmates entered the War Relocation Authority camps voluntarily, because they were not Japanese American, Ralph was the only among them who was not married to a Japanese American. Taking action in a big way to express dissent against the injustice of his friends’ imprisonment, Ralph’s demonstration of support made a lasting impact. While in camp, he was a well-liked leader and was involved in many activities, even becoming class president. If you were in Ralph’s position, how would you respond to the incarceration of your friends? If you were in the position of his friends, how would you feel about Ralph’s presence in the camp? What insights can you gather from Ralph’s story about various ways of expressing dissent?